Improper installation or the wrong parts can put your employees and your machines at risk. Hardware store bolts are not made to withstand the rigorous strain needed to secure a barrel end cap. Plastic Services & Equipment has the right parts to do the job correctly. Our high tensil strength bolts are made specifically for use on end caps. 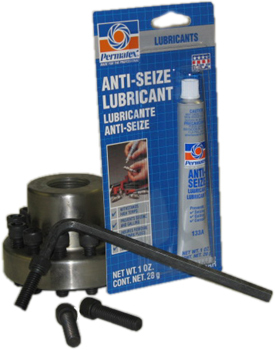 Each kit comes complete with bolts, a high-strength extra long hex key allen wrench and a tube of anti-seize thread lube. We have kits available for all machines requiring a bolt-on end cap.